Born: 9 May 1893 in Whitchurch, Shropshire and baptised on 25 June 1893 at the Wesleyan Methodist Chapel, Whitchurch. Family: He was one of five children born to John Briggs, a boot maker, and his wife Sarah Grace (nee Carter). Two of his siblings died in infancy.  George married Nellie Lowe in the first quarter of 1921 in Whitchurch Shropshire. Together the couple had three children, John Lowe born 1922, Marie Lowe born 1923 and Joan born 1927. Residence: In 1901 George was living with his parents at 19 High Street, Whitchurch, but by 1911 he was a boarder at Bromhall Bank, Hampton, Malpas, Cheshire. The address given for him on the Absent Voters List for 1919 was 54 High Street, Whitchurch. By 1939 he and his wife and family were living at Wood Cottage, Wirswall, near Whitchurch. At the time of his death his home was Wood Farm, Wirswall. Education: From 18 September 1906 until 8 April 1909 George attended Whitchurch Grammar School. Employment: His occupation at the time of the 1911 Census was given as “learning farming “. He continued as a farmer after WW1 until the time of his death in 1973. Died: 12 March 1973 in Whitchurch, Shropshire. 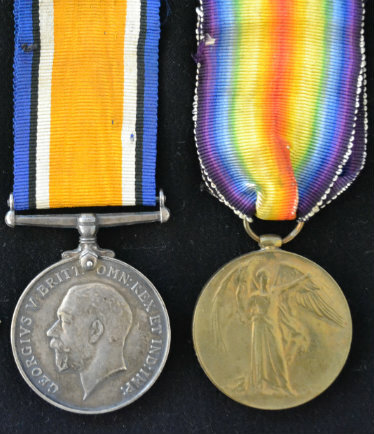 George was awarded the Campaign Medals (British War Medal, and Victory Medal) and the Silver War Badge (Issued 17 January 1921). 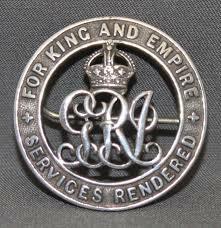 The Silver War Badge was issued in the United Kingdom and the British Empire to service personnel who had been honourably discharged due to wounds or sickness from military service in World War I. 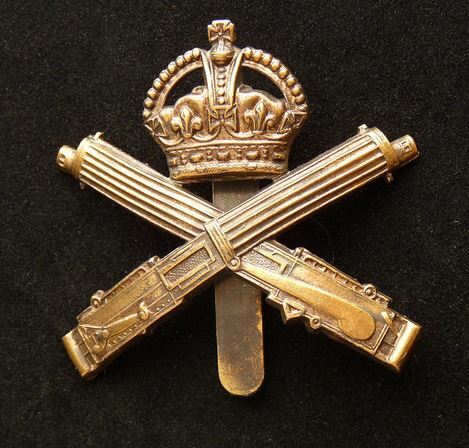 The badge, sometimes known as the "Discharge Badge", the "Wound Badge" or "Services Rendered Badge", was first issued in September 1916, along with an official certificate of entitlement.